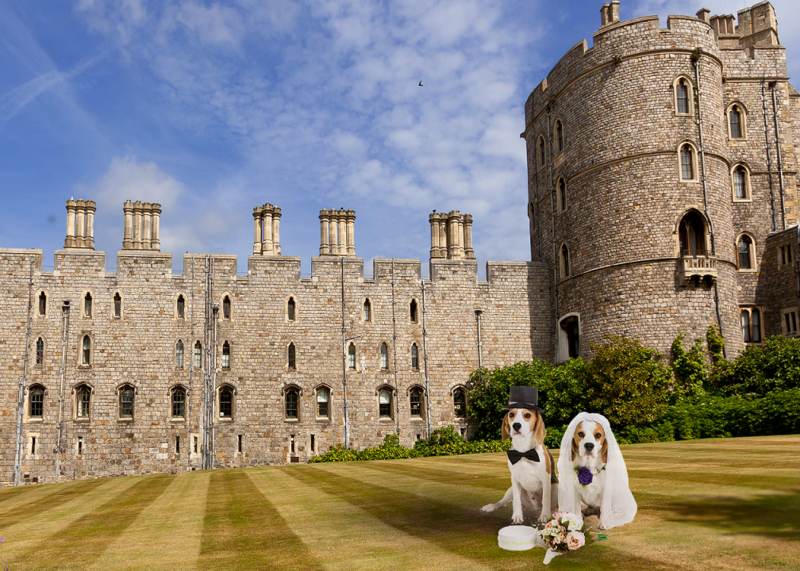 As Royal Wedding fever sweeps the nation, new research released today has revealed that 4 in 10 of the UK’s pet owners would want their beloved pet at their wedding! A survey of UK pet owners* commissioned by raw and natural pet food experts Natures Menu, has found that almost half of pet lovers (40%) would have their four-legged friend play a part in their special day. Of the traditional wedding day roles, official ring bearer is the most popular part of the official proceedings that we’d give to our pet (22%). This was followed by their appearance in the official photographs on the big day (20%), engagement photos and save the dates (11%) and even walking down the aisle as a bridesmaid (11%). 5% also said man’s best friend would be their best man or groomsman on their wedding day. What’s more, it appears the younger generation are more inclined to want their pet at their future wedding, with 56% of 18-24 year olds saying they couldn’t imagine their big day without them – so a surge in pet attendance may be on the cards in years to come! Claire Miller, Head Vet at Natures Menu, said: “It’s no surprise that so many people would consider having their four-legged friend attend their wedding day and even give them a role to play. *Research by The Leadership Factor conducted in April 2018 with over 1,000 UK pet owners. For more information including case studies or imagery, please contact Lilly, Emily, Rose, Naomi, Emma or Janine on 0113 243 1117, or email naturesmenu@lucre.co.uk. This press release was distributed by ResponseSource Press Release Wire on behalf of Lucre Marketing Ltd in the following categories: Entertainment & Arts, Women's Interest & Beauty, Farming & Animals, for more information visit https://pressreleasewire.responsesource.com/about.